To celebrate their birthday, Travelstart is giving you the chance to win flights to Mauritius. Who can say no to a holiday?! Read the terms and conditions below to see how you can win. Only replies to this competition post will be eligible for the prize. You may enter only once. 1.1. The Expresso Travelstart 12th Birthday Celebration Competition (Competition) will be run by Cardova Trading (Pty) Ltd in association with the Travelstart Online Operations Proprietary Limited (Travelstart) (collectively the organisers/we/us/our). Entries for the Competition will open at 6h30 on Monday, 27 August 2018 and will close at 23h59 on Monday, 27 August 2018 (Competition Period). 4.1.2. Reply to the Expresso Travelstart 12th Birthday Celebration competition post on the Expresso Facebook page (https://www.facebook.com/expresso/) during the Competition Period by answering the competition question included on the post. 6.1. The Winner will receive 2 (two) economy class return flights from either Cape Town, Johannesburg or Durban to Mauritius and back (for the Winner and a guest) worth up to a total of R 15 000.00 (fifteen thousand rand) (Prize/Flights), including airport taxes, subject to the below provisions. 6.2. The Winner will be contacted by means of the contact details provided to us. If we are unable to contact a Winner within seven working days of first notification, the Winner will forfeit the Prize and we reserve the right to re-draw a new Winner under the same conditions. 6.3. The Winner may share the Prize with a person of his/her choice. 6.4. Winner and his/her travel partner must book their flights by emailing copies of both travellers’ passports, departure destination, travel dates, email addresses and cell numbers to the relevant Travelstart agent specified in the prize letter that will be sent to the Winner. 6.5. It is the Winner’s responsibility to ensure that any information provided to us is accurate, complete and up to date. 6.6. Flights must be booked by 31 October 2018, failing which it will be forfeited and the Winner shall have no claim against us. 6.7. Flights must be used before 31 May 2019. 6.8. Travel may not take place in December 2018, January 2019 and/or April 2019. 6.9. Flights are subject to availability and will be limited over high season, school holidays and public holidays. 6.10. 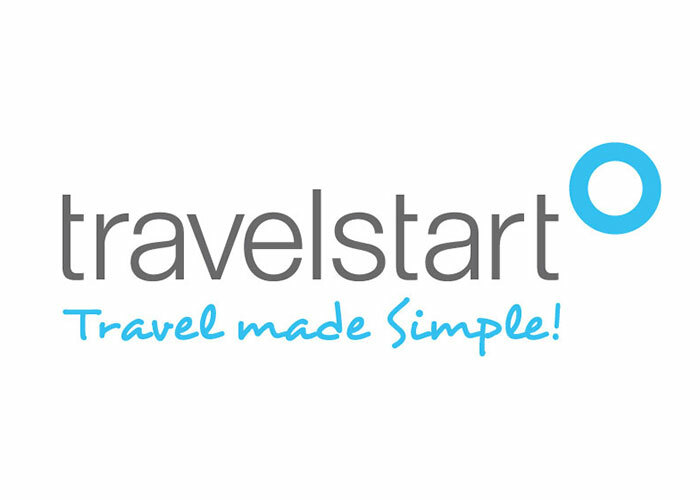 Travelstart will select carrier and flights at their sole discretion with consideration of travel dates provided by the Winner. 6.11. No re-routing or changes to the tickets is permitted once tickets have been issued. 6.12. No voyager miles shall accrue on these tickets. 6.13. Winner and his/her travel partner need to fly together at all times. 6.14. The Prize is limited to the Flights only and excludes all items not specifically mentioned in clause 6.1. Without limiting the generality of the aforesaid, the Prize excludes (without limitation) any visa costs, transfers, accommodation, car hire, spending money, travel insurance, overweight charges or all other incidentals, which will be for the Winner’s account. 6.15. The Winner and/or guest will be responsible obtaining a valid passport and the necessary visas (if applicable) in order to redeem the Prize. If the Winner is for any reason not able to redeem the Prize, the Prize will be forfeited and the Winner shall have no claim against us. 6.16. The Prize, or any part thereof, may not be exchanged for cash any other item. The Prize is strictly non-transferable and non-negotiable. 6.17. We reserve the right to substitute the Prize, or part thereof, with any other prize of a similar commercial value. 7.3. Travelstart reserves the right to cancel this Competition at any time during the Competition Period for any reason at their sole discretion. 7.7. We will need to process your personal information to validate your entry as well as to contact you for marketing purposes and, if you are a Winner, to make the Prize available to you. By entering this Competition, you specifically and expressly consent to us processing your personal information for these purposes and for Travelstart contacting you for marketing purposes. You may unsubscribe from the Travelstart database at any time.